4 Bedroom Detached Bungalow For Sale in Nantwich for Asking Price £625,000. 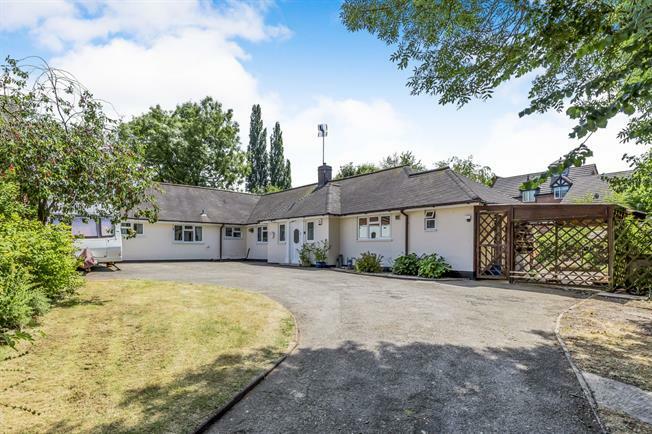 Tucked away in a quiet spot but still in walking distance of Nantwich town is this deceptively spacious detached bungalow. Viewing is essential to appreciate the space this property offers both inside and out making it ideal for any growing family or retired couples alike. The versatile accommodation comprises of a good size lounge, dining room plus a separate family room, fitted kitchen and conservatory. There are four double bedrooms and a family bathroom. Externally to the front there is extensive parking for several cars plus caravan/boat, with a delightful garden to the rear predominately laid to lawn.